Veins within the legs are key in assisting the return of blood to the heart. This process occurs when muscles within the leg (calf muscles) contract, forcing blood upward through a series of one-way valves within the veins to the heart. When these tiny valves become non-functional, blood pools in the veins causing them to bulge or varicose. Over time, fluid from varicose veins may leak into the surrounding tissue, causing a wound or ulceration on the lower leg that may not heal and can persist for many years despite conventional wound care treatments. This condition is called Chronic Venous Insufficiency, and is diagnosed by ultrasound imaging. When problematic veins are sealed, the source causing the fluid build-up is removed and wounds begin to heal. In our practice, we frequently see patients who have suffered for many years with painful leg wounds due to venous disease and it has been our goal to seek state-of-the-art treatments to best address this problem. As a result, Totality was the first vein care center in the state of Oklahoma to utilize Varithena, a new, FDA-approved, polidocanol injectable foam in 2016. Because of our experience with Varithena, Totality was recently selected to participate in a nation-wide study by the drug’s maker BTG. 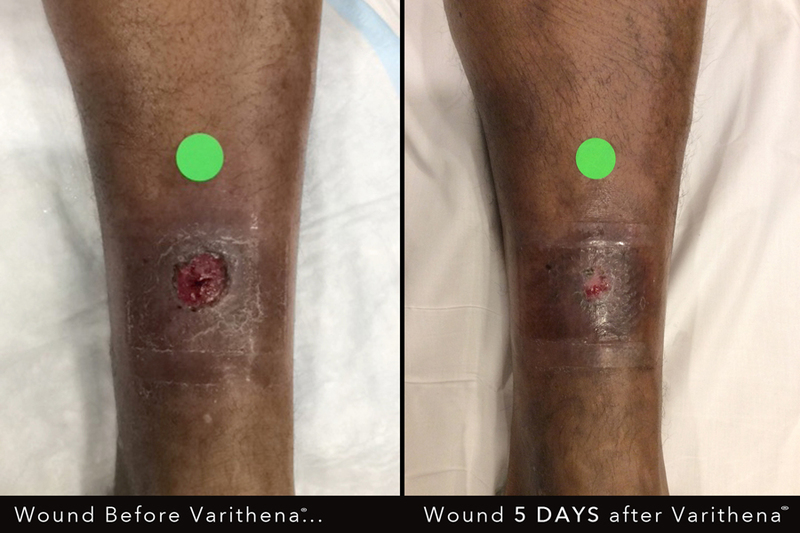 The purpose of this study is to observe the effect of Varithena on wound healing in the treatment of venous leg ulcers resulting from Chronic Venous Insufficiency. In addition, the study will note the impact of treatment on each patient’s rate of healing, rate of reoccurrence, pain, and their quality of life following treatment.